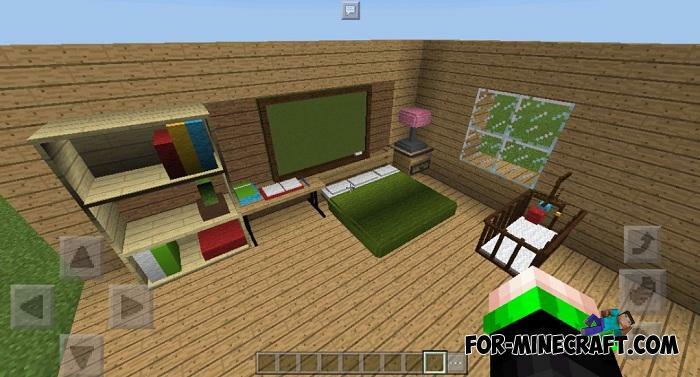 And here is a new furniture mod for Minecraft PE by Nako which adds a large range of beds, chairs and tables, lamps and other things without which it is impossible to imagine a comfortable home. 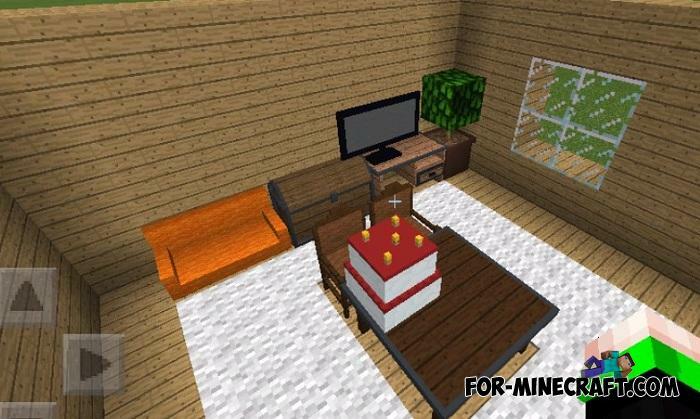 The creator tried to design the furniture in the original Minecraft style so that it does not catch the eye and looks harmoniously with the background objects. The only drawback is the inability to rotate objects, that is, you have to select the correct position for furniture in advance. 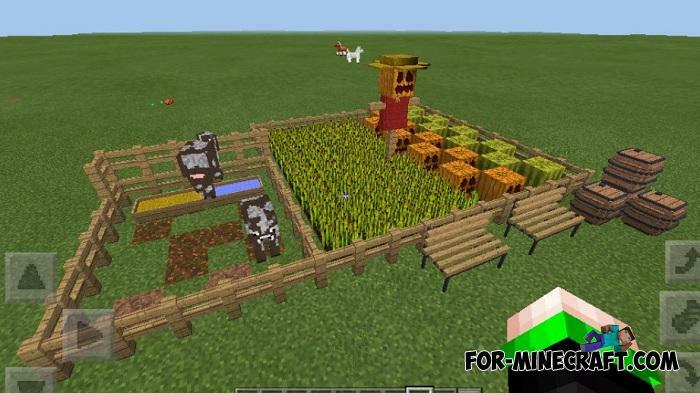 But in addition to home furnishings, the Nako Furniture Mod adds a farm set consisting of new gates and fences, scarecrows and water bowls. In general, the mod will allow you to furnish not only the interior of your home, but also pay attention to the local area, farm or small garden on your site. How to install the Nako Furniture Mod? 1. Download the mod and InnerCore. 2. Open the mod using IC or move the mod to the IC mods folder.